Do your research and find a good tailor - don't just walk into one off the street at random. Unfortunately there are many dodgy tailors around who will attempt to rip you off. Go with someone recommended or one of the larger family owned companies. 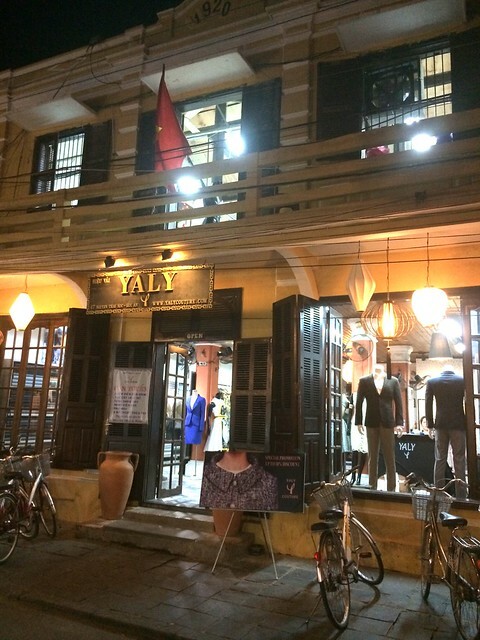 We were recommended Yaly Couture on Nguyen Thai Hoc Street and were not disappointed. Allow plenty of time - As this was a stop on an organised tour my time was limited. We only had about a day and a half and while this was enough time to get clothes made it didn't really leave me much time to do anything else in Hoi An. My initial visit to Yaly Couture was around 2 hours long. In that time I sat with the tailors assistant Catherine (I am pretty sure that was not her real name! ), chose my designs, talked fabric, zips, buttons and she measured me within and inch of my life. The following day I had another 2 fittings lasting an hour and two and a half hours respectively. 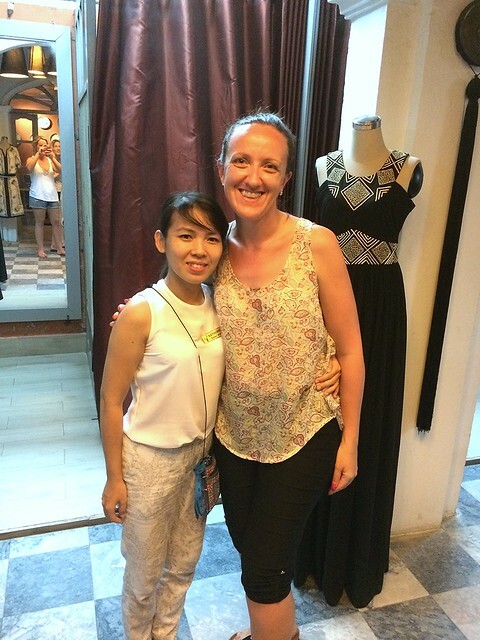 The girl taking the photo (who you can see in the mirror) had travelled to Vietnam with her best friends getting her wedding dress made! Arrive prepared - I had done some research and pinned lots of design ideas before I arrived and was able to show the pictures to my tailor who took a copy and was able to recreate them almost exactly. If you wander in with no real idea of what you want it came easily become overwhelming with the mass of folders with available designs and wall to wall fabrics on offer. 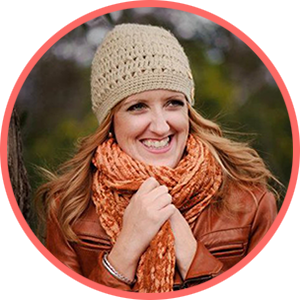 It will also be helpful if you know a thing or two about fabrics and what you want your clothes made from. Let go of any inhibitions - I was warned that I would probably have to strip down to my underwear and every nook and cranny would be measured to ensure a perfect fit, it was also suggested that this may take place in the middle of the store. I am happy to report that that did not happen, I had the somewhat safety of a change room but with a dodgy curtain and Catherine wandered in and out as she needed to regardless of what 'state' I was in. 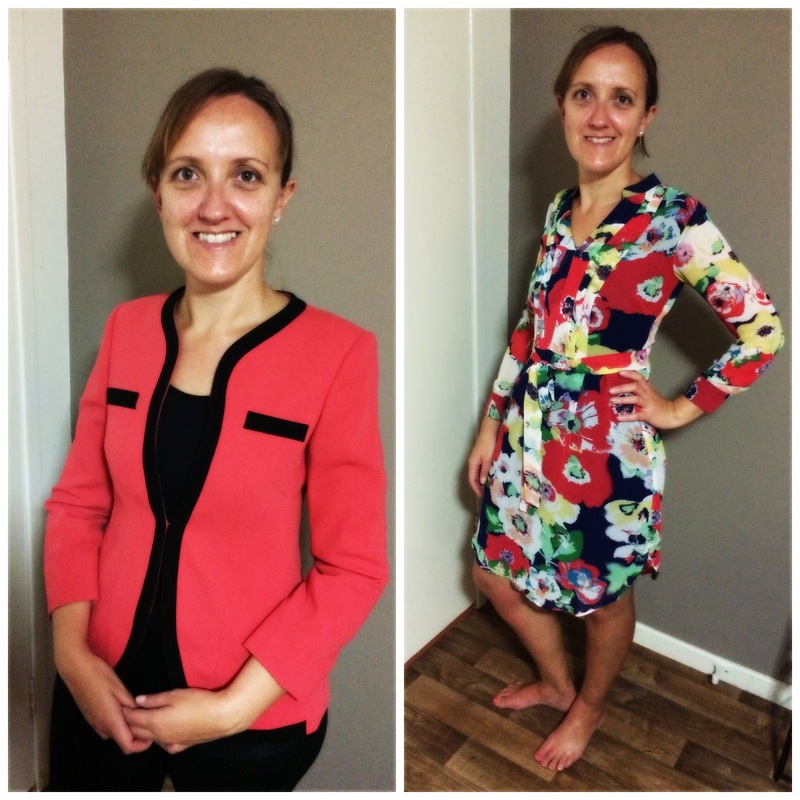 Don't be disheartened at your first fitting - I must admit I nearly cried at my first fitting and voiced my concerns to Catherine as I was not happy with most of the items. I wasn't sure I'd made the right decisions but with Catherine's reassurance I let them continue but made sure any adjustments I wanted were noted. 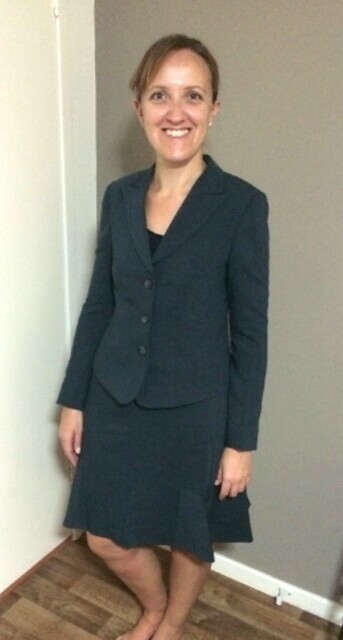 I wasn't happy with this suit at my first fitting but think it turned out perfectly. Speak up - if you are not happy for something or want something changed, speak up or forever hold your peace! 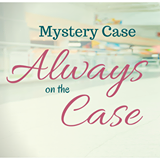 You are paying good money for the items and should not be afraid to speak up if something isn't right, isn't what you ordered or doesn't quite sit right. One of the girls on my tour had a whole dress made in the completely wrong fabric, she got it remade in the original chosen fabric and got to keep the 'wrong' one as well. Two more items I had made. All up I got 4 dresses, 1 jacket, 1 skirt suit, 1 top and 1 pair of pants made in the day and a half that I had available. 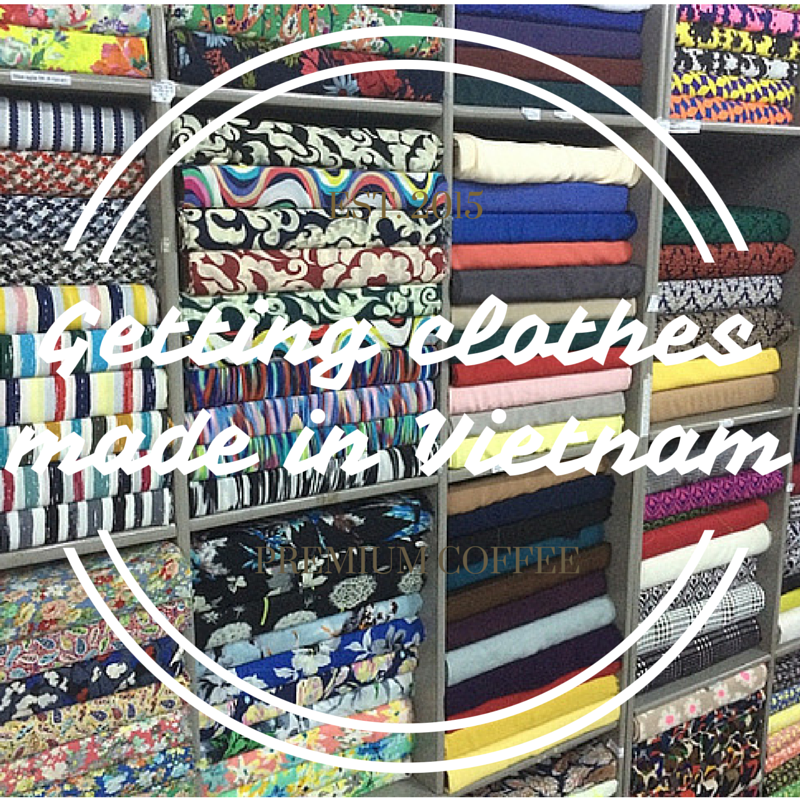 Once the final fitting took place the item were steam pressed, place in coat bags and delivered to my hotel in time for my departure from Hoi An the following morning. 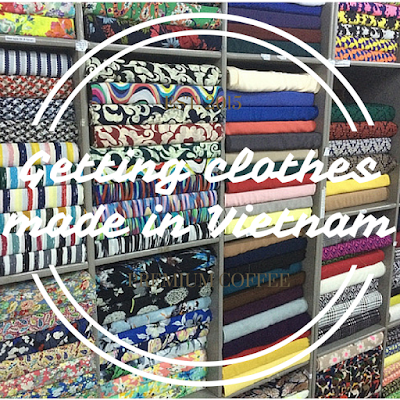 So if you are heading to Vietnam, definitely put Hoi An on your list because it is a gorgeous little city without the crazy of Hanoi or Ho Chi Minh and you get some clothes made, even if it's just for the experience!